CLICK THE LINKS BELOW ! 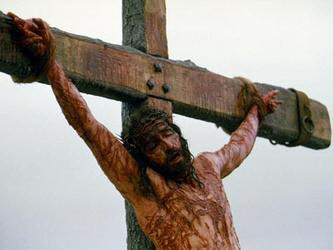 Jesus Christ Was Crucified For Our Sins ! You can read the story below on this webpage. Smaller font than the other formats. 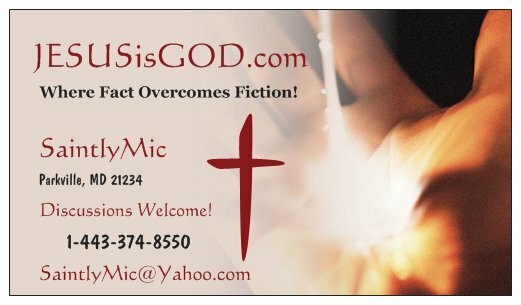 Scriptures with explanations & commentary can be found HERE!  Skipping through this short story will give you the wrong impression! Thank you for giving me your time and your attention by reading this short story. Most characters in this short story do not exist, and were created by me. The only characters in this story that do exist are Jesus, other Biblical characters, and myself. This story focuses on uncertainties and possibilities relating to the end of days, and I ask you to seriously consider that the events written in this story could happen in our near future. It’s also possible that these events might not happen until after 20 or more years from now. I do not pretend to know the exact times of the end which relate to Biblical events, and I strongly suggest to you that you should never believe nor follow those people who claim they know the exact times of the seasons relating to the end. Some events mentioned in this story are absolutely going to happen, and I believe with my whole mind and my whole heart that these events are going to take place. However, some events in this story are only possibilities that I believe could happen, and I ask that you study the Holy Bible to see for yourself why these possibilities might actually happen. I also ask that you pray before and after you read this story, so Jesus can personally reveal to you what you personally need to do to prepare yourself for the end of days. I offer this story to the entire world for free, and I offer this story to you for free. I will never ever ask for any money for this story in its written or sound formats, because I believe that any and all knowledge relating to Jesus Christ should be freely given to everyone. If a movie is ever made from this short story I may charge money for that, but such a movie must follow this story and its storyline exactly as Jesus Christ has asked me to write it. I, however, do not believe in this concept at all. The only reward I desire is your undivided attention to the words in this story as you read it. My reward will be in knowing that you took the time to read every single word I have written. And I will be more than pleased to one day hear from you that Jesus touched your heart in a positive way after you finished reading this short story. I make no apologies for the content in this short story, because I believe with all my mind, heart, and soul that Jesus directed me to write this story exactly as it is written. I desire you to know and understand that this story was not written with the intention of offending or hurting anyone in any way whatsoever. My hope and prayer is that you will not be offended with anything I have written in this story. I want you to know that even though I may not know you that I wrote this story loving you, and I wrote this story caring for you with all of my mind and my heart. And I want those of you that I do know personally to understand that I love you more than words can say, and I wrote this story because of my love and concern for all of you. Jesus has inspired me and directed me to be the writer, the editor, and the publisher of this short story, and if it were not for the technology of our present age it might not have been possible for me to fulfill the role of all three of these positions and titles! In editing this story I have personally had to read this story more than fifty times, and I have written this story with simplicity in mind so that it is very easy to read and understand. As a writer I tend to lean toward writing very complex sentence structures. However, Jesus Christ has moved me to make this story as simple as possible to read so most people will be able to easily read it and understand it without any difficulties. I pray more than anything that I have succeeded in writing this story so that you can follow the storyline with no difficulties whatsoever. With all of that being said I ask you to set aside about one hour to read this story. Please do not let anything I have written in this story move you to not finish it. Even though this story starts out being negative it ends in a very different way. I am certain that when you have finished reading this story that Jesus will touch your heart with joy, hope, and understanding. I believe that Jesus will use this story to open up the eyes of many people to various possibilities that they may have never even considered before reading this story, and I believe that Jesus will use this story to save the physical and spiritual lives of many people! However, If you find that Jesus had already revealed these possibilities to you before you started reading this story, then this story will be our mutual confirmation that Jesus revealed these possibilities to both of us even before I communicated such possibilities to you! This short story was written with every single human being in mind, to show all who read this story that Jesus will always be with us during times of uncertainty in our lives, and that Jesus allows uncertainty to be in our lives to move us to trust in Jesus for deliverance. Therefore, as you read this story, I hope more than anything that you will be blessed with a burning heart that moves you with a burning desire to trust in the Lord Jesus Christ more than you may have previously thought possible! 1. Please do not ever attempt to falsely claim that you wrote this story. 2. Please do not take portions of this story out of context to slander me or this story. 3. You may freely distribute this story, but the Title Page, the Table of Contents, the Preface, and the Acknowledgments must all be included with the main body of this story. 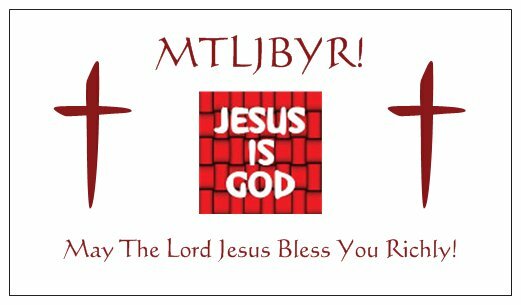 MTLJBYR! - May The LORD JESUS Bless You Richly! That shout still echoed in our minds as we all looked up to our Pastor for an answer. One of our dear sisters in the Lord had stood up and loudly cried out in sudden fear and anxiety. She had been promised nearly her whole life that the next major Christian event was the rapture of the Church, and she had looked for that blessed event since she was a little child. But now our Pastor was telling us that the beast had just signed the dreaded seven year covenant with Israel one day ago, and this was just not supposed to have happened! The Church was supposed to be raptured before the beast was revealed, but now the beast had not only been revealed, but he had also signed the prophesied seven year covenant with Israel. Why were we still here? As our Pastor looked at us with regret many in the Church began weeping uncontrollably. Some were crying out loud in confusion, asking Jesus what it was that they had done wrong. So many were shaken, frightened, uncertain, and in a state of disbelief. What were we going to do now? How would we have the strength to resist the beast? Looking back, I had remembered seeing the possibility that the pre-tribulation rapture might not happen, and I had met many people who were not ready nor willing to suffer for Jesus. I had studied several different views on the timing of the rapture, and I believed that Jesus had revealed to me that the doctrine of the pre-tribulation rapture might prove to be wrong. I had even discussed this with many I personally knew and loved, and almost everyone was convinced that the pre-tribulation rapture was that blessed hope spoken of in the Holy Bible. However, my studies and research into this matter proved very different conclusions. My studies revealed that the blessed hope was actually two separate events that took place at the end of the great seven year tribulation, and not before it as many souls were led to believe. The first event was the First Resurrection “rapture” which included the dead in Christ being raised from the dead, and the catching up of the Saints who were alive and who remained, and then Jesus Christ taking all of these Saints into Heaven to be with Him; and then the second event, which was the Second Coming of Jesus and the Saints after they to had gone into Heaven. Nearly every single Christian I had mentioned this to rejected these conclusions. Some “Christians” even told me that if they had to go through the great tribulation that they would take the mark of the beast, because they didn’t believe they were strong enough to handle the suffering, torture, and the prophesied deaths associated with the Saints during that time! In any case, the time had come for the beginning of the great tribulation, and hundreds of millions of Christians, and those who falsely claimed to be Christians, were not ready for it. Many people had believed in an unscriptural doctrine which had now proven to have given them a false sense of hope, and many wrongly believed that they only needed to believe Christ existed. Millions of Christians would now have to prove their loyalty to Christ, and many believed that this was neither acceptable nor possible, and that Christ was wrong to leave them here to suffer. Many souls would prove to be the wicked, evil, and hateful tares and thorns among the wheat. They would deny Jesus, then turn upon their fellow church congregations, and gladly accept the promises of the antichrist, so they could have those things they needed, desired, and wanted. The feeling of betrayal and deception in the Church could already be felt by all of us. Many in the church were already plotting ways to survive, and that survival included turning in their family and friends to the antichrists, and stealing and killing if that helped them to survive. And even as wicked and evil as those concepts were, many would still selfishly do anything to live. Many in the church were also being moved by Jesus to start using their spiritual gifts and calling. Some knew they didn’t have long to work, and others hoped they would live until Jesus returned. But none of us knew the exact day or the hour that we might die, nor did we know the exact day or the hour when Jesus Christ would return. Even so, some of us in the church knew and understood that we would be raptured and caught up to be with Jesus Christ a short time before seven years from the date of the signing of the seven year covenant between Israel and the antichrist. I wasn’t concerned, and to some this seemed to be ignorance and arrogance, but it wasn’t. Jesus had already prepared me for the worst, and I was happy to live or die for Jesus Christ. I had hoped and prayed for many years that Jesus would let me be among one of the few Saints that would be alive when the First Resurrection happened. However, Jesus gave me several negative and horrifying dreams of the great tribulation where I was beheaded for Christ at the hands of antichristians, and Jesus also gave me more positive and reassuring dreams where I had survived until near the end of the great seven year tribulation. These dreams were so real and so startling that they could not be ignored, and they moved me to diligently search the scriptures about the actual timing of the rapture. I asked Jesus why He gave me these seemingly opposing dreams, and Jesus revealed to me that He wanted me to learn to be content with the uncertainties that I would encounter in my life. And after a long time had passed I started to observe these dreams with enthusiasm and joy, but I was still uncomfortable about the uncertainty I saw in these seemingly opposing dreams. Jesus revealed to me and made me to understand that my survival was uncertain and that my survival depended upon the decisions of my fellow human beings, and not solely upon myself. I had to completely trust in Jesus more than trusting in anyone or anything else for my survival. And I did trust in Jesus completely, and I did so without any reservations or apprehensions. However, my survival also depended upon the decisions and actions of those I would interact with, and not so much upon myself, and this was why my future life was like an unfinished book. I had to helplessly wait and see how my life would play out during the great tribulation, and this helplessness turned out to be a vast bottomless sea of unrelenting uncertainty! Jesus taught me in the Spirit that many in the last days were not going to be ready to suffer for Him, and that many may not decide to do the right things during the great tribulation. Jesus left these situations open, because He trusted that people would decide to do the right things, and He granted them the benefit of not doubting them, and He gave them time to repent. However, it was possible for so many people to make wrong decisions and wrong actions, and these wrong decisions and wrong actions could cause the death and suffering of many, and I realized that I might suffer and die because of the selfish and evil decisions of other people. The uncertainty that I could clearly see that related to me having to hope in people to make the right decisions bothered me and concerned me more than anything for so many years. I questioned Christ Jesus many times about this uncertainty, and I pleaded with Christ Jesus to explain to me why I couldn’t just know ahead of time how my life would end up during the time of the great seven year tribulation! And after a long period of time Jesus was finally able to teach me to be confident and unafraid, because any circumstances or situations could unfold at any time during the great seven year tribulation, and many of these situations could benefit me rather than harm me. Over time Jesus began to lessen my fear and anxiety and I started to become excited about these uncertainties, and I started to become very curious about how my life might unfold. If there was any time in history where uncertainties would reign supreme it would be during the time of the great seven year tribulation. And these uncertainties began to spark my curiosity more than anything, and for me these uncertainties went from being foreboding and frightening to being very exciting and rewarding. Jesus had given me an understanding that encouraged me to hope for anything and everything! I hoped for the best, and I hoped for the worst. For me the great tribulation was a win-win situation! I would win if I was killed as a Saintly Martyr. And I would win if I was raptured alive at the First Resurrection! I would win if I lived, and I would win if I died! It just did not matter to me any longer. I was content no matter what ended up happening to me. Even so, Jesus filled me with a burning desire to live! As we sat in our church looking at our Pastor many of us finally realized the real purpose and importance of our Pastor, and we began wanting to give him more love and admiration. Our Pastor’s role had become more clear now than ever before, and those in the church who had never took our Pastor’s role seriously could now see our Pastor in a new and hopeful way! We knew Jesus would direct our Pastor with those things we needed to be able to serve Christ, and we knew Jesus would direct our Pastor with the wisdom needed to show us how to survive the great tribulation until Jesus Christ snatched us up to be with Him at the First Resurrection. The Pastor’s authority and responsibility was now honored more than ever, and after a few moments of weeping a quiet and awe filled the church like never before. After the Pastor was finished praying a great calm came over the entire congregation. Even those who were in doubt were aware of a greater strength which they had never known nor experienced before, and many who were uncertain had peace and confidence, and they were ready for Christ to show them how to do what they needed to do to help the body of Christ. When our Pastor was finished speaking we could tell that most of us were like minded, and we could tell we were focused on one main purpose, and that purpose was to make certain we were prepared before the antichrist made it impossible for us to survive and live as Christians. We understood what we needed to do, and we could see this in each of our countenances. Our faces shined, and we could see hope, success, and an end that was much more certain. We were ready to do what we needed to do, even in the midst of so much uncertainty. The next day I began going through my few possessions, and I was not certain what I needed to keep, nor was I certain about what I needed to sell, so I called our Pastor. We agreed that we needed to make a list of those items everyone could use, and we needed to make a list of those items we did not need. So we decided to call everyone in the church body, and we communicated with them these needs. For the next three and a half years we did every single thing in our power to begin stocking up on all necessities, and we prepared a secret location where we could live in safety. We also spent those 3.5 years selling everything we could sell that we did not need, and we did all of this without giving attention to ourselves. We were very careful not to explain specific details to those who continued to have doubts and unnecessary concerns, because we could tell that such people were capable of turning on us and destroying all that we had worked so hard to accomplish. Such people could not be trusted with our intimate details about our hidden safe haven. Their lack of faith were their calling cards, and Jesus Christ revealed to us that we should only give them limited information which would not lead them to our safe haven. We carefully and closely watched every person who exhibited behavior where they gave any form of credit or praise to the antichrist, and Jesus revealed to us how to love them all. Jesus commanded that the tares be allowed to grow up with the wheat, so we were commanded by Christ to never assume that these tares would always remain tares. We understood the uncertainty of people committing themselves to Christ, and we had to hope for the best for them that they would eventually choose to put their trust in Jesus Christ. We were commanded by Christ to wait on them, to give them every last second to repent, and we truly hoped that they would eventually trust in Christ instead of trusting in the antichrist. Such people were very dangerous and untrustworthy, but we had to love them anyway. If we revealed to these people that we could not trust them, such attitudes might cause them to reject Christ at a time when the antichrist would increase pressure upon them to serve him. So we deeply loved, cared for, and completely accepted all of these lost souls as they were for three and a half years, until the time that the antichrist entered the Jerusalem Temple in Israel and claimed that he was the Lord God Almighty. Then, just as if we were raptured away, we disappeared, never to be seen or heard from again. Our time to exit had come, and we had prepared ourselves as we were led by Jesus Christ to do! After a few weeks of living in our safe haven we had began to believe that surviving the last 3.5 years of the tribulation would be relatively easy to accomplish, but were we ever wrong! Just existing and surviving turned out to be the easy part, and as it turned out there were other more evil and wicked events which we had not thought about which took us by surprise. We were so busy preparing for 3.5 years that we had not considered what we would witness. So many people and events turned out to be extremely wicked, vile, and so very evil. We desired so much to help, but our hands and feet were tied, and all we could do was watch. To our horror we watched as millions upon millions of unprepared Christians were killed. Many were killed by citizens as honor killings, and many more were killed by the authorities. People from every known religion and belief system believed they were justified killing those people who rejected worshiping the antichrist and who rejected taking the mark of the beast. We could not believe the excuses so many people gave for their killing of innocent people. So many who falsely called themselves Christians turned on their congregations, and they called the police on them, and the antichrist rewarded them openly for assisting him in capturing them. So many people chose the antichrist over Jesus, and so many more people chose the antichrist over their religions and their beliefs, and many who had no beliefs at all worshiped the beast. However, even as impossible as it seemed, many of the unsaved rejected the antichrist as well, and just like the Christians they also refused to take one of the three marks of the beast. Many who rejected Christ, and yet who also rejected the antichrist as well, chose death. Even though these unsaved individuals died at the hands of the antichrist they still went to hell, and they did not receive Christ’s gift of Eternal Life. The reports of these horrible deaths were far worse than we could handle or bear on our own. We suffered waves and waves of weeping for the multitudes of the lost that went to hell. And this was just a part of what we witnessed, and yet Jesus still comforted us through it all. Multitudes died from global disasters caused by the weather and mankind’s imaginations. Many died from starvation and a lack of water, from diseases, and from radiation poisoning. Many people fought for supplies, but they could not get them, and ended up dying anyway. Nothing was available to eat or drink, unless you took one of the three marks of the beast. And the weather became so violent and turbulent that billions died from these disasters. The overwhelming loss of life was so much more than we could bare to watch. Entire cities were completely annihilated and destroyed by nature and by the beast, and no one could safely report the news as before, and this eventually cut us off from the world. Many individuals who did not have the mark of the beast, and who attempted to watch or listen to the antichrist’s broadcasts, were captured and put in prison. Many of those who found themselves in prison were tortured and they decided to take the mark of the beast, but many other prisoners refused the mark, chose death, and were beheaded. Without any way for us to see and hear what was going on in the antichristian world we only had Jesus and our calendars with which to tell us approximately when Jesus was going to capture us up to be with Him in the air at the First Resurrection. It was at this time that we began to wonder how we would witness certain Biblical events which could only be seen or heard through the use of communications services such as the radio, the internet, and television. We never ventured away from our safe haven to try to find out what was going on in the antichristian world, because we could not take the risk of being captured and killed. But some people from our congregation had taken that risk by venturing out into antichristian territory, and they had done this because they were bored or because they were not content with that which they had, and we never saw most of them again during that terrible time. However, before the broadcasts were cut off we watched with horror as some of these dear brothers and sisters were put on public display on TV and on the internet, and they were openly beheaded and killed for Jesus Christ. These atrocities were heartbreaking and terrifying, and there was nothing we could do to help! When our communications and connections with the world were severed we were not certain if some of these people who had left us had given away our location. We were also uncertain if these people had taken the mark of the beast. There was no way that we could know if they had given their life for Christ, or not. The uncertainty sometimes caused some of us great fear and anxiety. Even so, Jesus kept us safe, and no harm came our way. Near the very end Jesus sent several precious little children to us who had not taken the mark of the beast, and He sent them to us to tell us that the beast had made the antichristian news broadcasts safe for us to watch once again. However, before Jesus sent these dear children to us we had spent a very long time without any other contact with other Christians nor with the antichristian world, and we had become lonely. These children Jesus sent to us were an incredible miracle and a breath of fresh air, and we thanked Jesus for such a wonderful and precious blessing! Our time alone with Jesus taught us so much! We learned to be content in everything. We learned how to trust Jesus in everything, and in every single situation. We learned to treasure each other as much as we treasured Jesus Christ. We learned how to accept our isolation, and our loneliness wasn’t nearly as foreboding. We learned that we no longer had to try to survive. We learned that we only had to wait for Jesus to fulfill His promise for us, and that day was close at hand! I still remember the last events that finally unfolded as the last days of our waiting for Christ to fulfill His promise had finally come to an end. Our expectation for Christ’s promise had become all consuming. We had traveled the difficult course, and Jesus had let us survive until His promise unfolded. And as those days dwindled down we were given a few last glimpses of the antichrist’s kingdom. The antichrist had gained all control over nearly every single person on earth. He had made it possible for every living human being who had the mark of the beast to witness his greatness in every corner of the globe and nearly every single person worshiped this man. There was no one that was not affected by his works, his ambitions, and his determination. The antichrist had become great, and the world marveled at his accomplishments and his power. Because of his arrogance the antichrist made several errors and miscalculations. These errors were for our benefit and use, and the beast was so consumed with his own greatness that he never knew that his miscalculations had become blessings for us. Our last days, even as terrible and as horrible as they were, became our greatest assets. We were allowed to watch with the whole world as the sign of Christ appeared in the heavens! The beast had made it his priority to make his greatness experienced by everyone, so he ordered his false prophet and his demons to make the lost believe in his lies and his deceptions. The beast desired everyone to worship him, and since he was not all knowing nor all seeing like the Lord God Almighty, he made himself to appear to his antichristians to be all knowing and all seeing by using an invisible power which resembled Christ’s Holy Spirit in nearly every single way. This invisible power was an antichristian artificial intelligence (an AAI computer program), which utilized specialized recognition technologies that could warn the antichrist and his leaders if anyone who did not have the mark of the beast attempted to use their services. Every antichristian was required to be wirelessly connected to this AAI by a device implanted in their forehead or their right hand, and these implants were used for identifiable transactions. The implants, telephones, televisions, radios, and the internet were merged together to work as one with this invisible AAI technology, and this AAI communications technology required every viewer, listener, or user to have the mark of the beast in order to be allowed to use it. However, as effective as this AAI recognition technology was, it was very restrictive in terms of who could use it to observe the antichrist’s broadcasts, and anyone who did not have the mark of the beast could not access those antichristian programs. The beast was so caught up in his own greatness, and he wanted everyone to idolize him so much, that he finally ordered most AAI recognition technologies to be removed or disabled. This was a mistake made by the beast, and his mistake was a gift Christ had made available to us. And this made it possible for us to observe the end with the world once again, and we were allowed to see the last few hours of the end unfold as Christ finally returned! The two beasts had gathered together a vast and mighty antichristian military. This vast and mighty military gave all its power and allegiance to the antichrist, and they surrounded Israel on all sides by land, by sea, and by air. The Jews and the Saints in all the cities of Israel had already been overcome, and there were no real reasons why the antichrist needed to surround Israel with his military. Nevertheless, the beast ordered his military to surround Israel anyway. The antichrist had deceived the entire world to believe in his lies, and he convinced the world that he had surrounded Israel to keep his enemies from taking Israel from him. But, secretly, the antichrist knew that Jesus Christ was returning soon, so he declared a lie so he could try to destroy Christ at His Second Coming. The pomp and arrogance of the antichrist and his military was unbelievable! The beast’s military actually believed that they were gathered together to enforce their might so that they could control who entered and exited Israel. However, some of the beast’s followers in this massive military caught on to the lies of the antichrist and his false prophet, and when the sign of Christ appeared in the heavens some of them wanted to back out, but it was too late for them to back out. They had already taken the mark of the beast, and they loved what the beast had given them, so their selfishness and their hate for Christ had kept them from being able to back out. Although their end was at hand, and they knew it, they just could not back out. Then, the sign of Christ appeared in the heavens, and the entire world that followed and worshiped the beast became afraid. Many knew Christ was real, but they had let themselves get caught up in the moment of the antichrist’s glory, and they had become ignorant about the reality and the power of Christ. The sign of Christ in the heavens brought the reality and danger of Christ back to them, and this made the antichrist’s kingdom very afraid. And then, as fast as lightening strikes from one end of the sky to the other end of the sky, Jesus appeared in the heavens! Every antichristian saw Christ’s appearance, and their arrogance and false strength completely melted within them. Jesus broke open the graves, and the dead in Christ were taken from their graves, and were instantly taken up into the air to be with Jesus Christ, and the whole world could see this. In the next moment, we who were alive and were the last Saints to remain on the earth were snatched up to be in the air with Jesus Christ as well, and the whole world could see this too. Then we who were the last Saints on earth, and the risen dead in Christ, and Christ Jesus Himself, all disappeared from the air and the heavens, and we were carried away into Heaven to be with Jesus Christ. Once we were in heaven with Jesus Christ, a short time elapsed where Christ gave us our crowns, our white robes, our new names inscribed in tiny white stones, our rewards, and then our white horses. After we had spent a short time with Christ Jesus in Heaven He commanded us to return back to earth with Him to destroy those who had followed after the beasts, and who had taken the mark of the beast, and who had worshiped the beast. So, we followed Jesus Christ wearing our crowns and white robes, and we followed Christ Jesus on white horses. The antichrist and his army that surrounded Israel saw us coming, but there was nothing they could do to stop us! Jesus SHOUTED with the Voice of a Great and Mighty Archangel, and His Mighty Voice could be heard in all the earth by every living soul. Christ’s Mighty Trumpets began to SOUND, and the Mighty Sounds of these Mighty Trumpets caused the antichrist’s entire kingdom to cower in great fear! And every eye on earth saw us coming with Jesus Christ, and every eye that saw us trembled at the sight of our coming, and many tried to encourage and empower themselves to try to stop us from entering Israel, but they could not stop us. The sight of Jesus Christ and His Mighty Army, the SHOUT of Christ’s Mighty Voice, and the Mighty Sounds of Christ’s Mighty Trumpets forced every single antichristian follower’s courage and strength to melt within them, and they trembled with great fear, because they knew their end was at hand! Jesus destroyed the antichrist’s entire military almost instantly, and Jesus destroyed every single antichristian who had taken the mark of the beast. Jesus completely annihilated and destroyed every single person who had followed after the beast, and who had taken the mark of the beast, and who had worshiped the beast. Not one antichristian was left alive! When Jesus had destroyed every single antichristian on earth Jesus took the antichrist and the antichrist’s false prophet, and Jesus cast them both alive into the lake of fire. And, finally, after Jesus had destroyed every single antichristian on earth, and after Jesus had cast both the antichrist and the antichrist’s false prophet alive into the lake of fire, Jesus boldly entered Jerusalem and took back Israel for Himself, and the Lord Jesus Christ shouted and declared to every living soul on earth that He was the Lord God Almighty Jehovah Yahweh! Then, after the Lord Jesus Christ had done all these mighty things He commanded His Mightiest Angel to bind up satan. And Jesus commanded His Angel to lock satan up in a prison of darkness for 1,000 years, so that satan could not deceive the nations any more, until those 1,000 years were finished. After Jesus Christ had finally destroyed all those on the earth who were antichristians Jesus began healing the land, the seas, the rivers, the air, and all animals and fish. Jesus repaired every damaged thing that mankind and nature had destroyed. Christ also set up kingdoms throughout the earth, and He gave each of us who followed Him on white horses a kingdom to rule, and we ruled with Christ for 1,000 years. As it turned out, there were Jews who had neither taken the mark of the beast and who had not yet accepted Christ as their Savior, and these Jews were given land within Israel. Most of these Jews joyfully accepted Jesus as their Savior, and they loved Him dearly. Even so, some Jews resisted accepting Jesus as their Savior, and they hated Him secretly. There were also gentiles who had not received the mark of the beast and who had neither worshiped nor followed after the beast, and yet who also had not asked Jesus to save them. These gentiles were given lands to live in which were outside of Israel. Most of these gentiles accepted Jesus as their Savior, and they loved Him with all their hearts. But, some of them secretly hated Jesus, and they refused to accept Jesus as their Savior. Even so, Jesus and those of us who returned with Jesus on white horses ruled these nations with a rod of iron for 1,000 years. Those who accepted Jesus as their Savior during those 1,000 years were given much, and Jesus caused them to prosper always. But, those who secretly rejected Jesus Christ as their Savior and King had little, and these lost souls were never allowed to prosper. The lost that never prospered were still allowed by Christ to multiply, and the lost secretly spread and taught their hate for Christ to their children for 1,000 years. They thought they had deceived Christ, but their wicked and evil hearts could not be hidden. Jesus communicated their evil hearts to those of us that ruled these kingdoms, and we knew of their secret hate for Christ, and this is why they were never allowed to prosper. The lost were always jealous of the saved and they always resented the success of the saved, but the lost were never allowed to harm or hinder any of the saved during those 1,000 years. Even so, Jesus allowed the lost to multiply, and He gave them 1,000 years to repent, and some of their children did accept Jesus as their Savior, but most of them never repented. Then, after the 1,000 years were finished, Jesus set satan free from his prison of darkness, where Jesus had bound satan for 1,000 years so that satan could not deceive the nations until those 1,000 years were finished. When satan was set free from his prison he set out to deceive those who secretly hated Christ. Satan gathered them together to war, and led them to surround Christ and the Saints in Israel. Christ knew of the intentions of satan and those lost souls that satan had deceived, and Christ allowed them to gather together to war. The numbers of these satanic and antichristian individuals were as many as there are sands of the sea. The devil had convinced every single unsaved individual that they could destroy Christ and His Saints from the face of the earth. So the lost let the devil deceive them, and they all gathered themselves together, and they surrounded Christ and the Saints in Israel one last time. Even with such an ominous and massive satanic army they still had no chance of success, and in a very short time Jesus Christ had destroyed them all. And after this Jesus Christ finally destroyed satan as well by casting him into the lake of fire, where Christ had cast the antichrist and the antichrist’s false prophet 1,000 years before. So ended the rebellion of the lost, and so ended the deceptions of satan. No one was left alive that hated Christ in any way. The end of the wicked existing on the earth had finally come to an end. After Christ had defeated His enemies upon the earth He resurrected all those who had rejected Him and also those who had accepted Him during His 1,000 year reign upon the earth. Christ Jesus also resurrected all those unsaved and wicked souls who were not resurrected at the First Resurrection near the end of the great tribulation. This particular resurrection after Christ’s 1,000 year reign was called the Second Resurrection. Both the unsaved and the saved from the 1,000 years were resurrected at the Second Resurrection. After the Second Resurrection Jesus judged the saved and the unsaved. This time of judgment was called “The White Throne Judgment”, and everyone who had been resurrected at the Second Resurrection were judged by Christ Jesus at this time. At Christ’s White Throne Judgment Christ opened up the books about mankind’s works. There was a book called “The Lamb’s Book of Life”, and everyone who accepted Christ as their Savior during Christ’s 1,000 year reign was found in this book, and they were given Eternal Life. But, those who had not taken part in the First Resurrection, and who had died rejecting Christ during His 1,000 year reign, were cast into the lake of fire, where satan and his two beasts are. And so ended the existence of every single wicked and evil being that ever hated Christ. Every angel or human who rejected Christ and His Saving Grace were cast into the lake of fire. Even those who rejected God when He was only known as God were cast into the lake of fire, and this was because when they knew God only as God in a simplistic understanding of God they still chose to reject God’s gift of grace , and thereby chose to not live by God’s loving ways. These evil souls and demons caused themselves to be separated from God’s presence for all of eternity, and Christ left them there to burn alone in those spiritual fires forever. Christ didn’t take away their desire to sin either, so they were left in the lake of fire wanting to sin but without the ability to do those sins they desired to do. And the last event and task that Christ performed that removed all evil from God’s presence was the destruction of death and hell. Jesus Christ hated both death and hell so much that He cast them both into the lake of fire. Both death and hell had caused so much suffering and sorrow and pain that Jesus cast them both into the lake of fire last of all. Jesus called this last event the Second Death, because with it Jesus had finally ended the suffering and sorrow and pain that death and hell had brought upon Him and His creation. As much as Jesus hated the rejection and wickedness of those who wickedly rejected Him, Jesus hated death and hell the most. So, finally, none of them would ever exist in Christ’s presence ever again! Once Jesus Christ had removed every single wicked and evil being from His presence, He began creating a New Heaven, a New Earth, and a New Jerusalem for those who had trusted, believed, and accepted Him as their Lord, God, Savior, and King. So Jesus Christ let go of His own suffering and sorrow over having to throw the unsaved into the lake of fire, and He set His mind to do more wonderful, beautiful, and marvelous things. Christ let go of the memory of the lost, and He miraculously made Himself forget their demise. And as Christ removed the thought of the lost from Himself, He also removed the thoughts of the lost from the minds of His Children, so that they would never have to suffer or cry again. Sin, death, and hell would no longer burden Christ and His Children ever again, and the memory of those terrible things would be erased from Christ and His Children’s minds and hearts forever! To accomplish this seemingly impossible feat of removing this evil from their minds Christ Jesus had to remove everything that satan had polluted with his evil. So, Christ wiped away both Heaven and earth, because of the evil satan had brought into them. And Christ Jesus didn’t stop there, He also completely removed and wiped away the entire known universe and every single thing within it, and then Christ erased and wiped away time itself. And when Christ had finished erasing and removing every last remembrance of satan there was a moment outside of time and eternity where only Christ and those who loved Him existed. Then Christ created a new Heaven and a new earth, and created a new Jerusalem in it. Christ’s new Heaven and earth were not dependent upon the limited natural and spiritual designs of those things He had removed and wiped away. This new Heaven and new earth had no physical or spiritual limits, and had no need of a sun or a moon, for their light could never compare to Christ’s Light. So Christ filled His new Heaven and His new earth with His own Light and Glory, and this made it possible for Christ and His Children to never have to face darkness or shadows ever again. Christ Jesus had created a new beginning that would never end, nor would it grow old, nor would it diminish in its beauty, light, and glory. Those who existed with Christ would never grow bored, weary, tired, or old, and they would never cry nor weep from wickedness, evil, sorrow, or pain again. The possibilities and wonders that Christ and His Children would imagine and create together would never end, and every single moment would be brand new and exciting to explore and experience for all of eternity, and Christ’s Holiness would fill every facet of their lives. The love of Christ and His presence made existing with Him for eternity joyful and wonderful. The time had finally come for Jesus Christ to reveal His answer to our dear sister’s cry. I would like to thank all of the following people who helped me to be able to come to this time in my life where I could finally write this short story! 1. The Lord Yeshua Jesus Christ … Who is The Lord God Almighty Jehovah Yahweh! And I would like to thank all the other Pastors, family members, friends, and strangers who took the time to teach me the importance of trusting in the Lord Jesus Christ for everything!